The Church of Scientology Sting Operation on Gerry Armstrong circa 1984 – Who was stinging who? Mark’s words, being quoted, are almost verbatim to the Heber Jentszch narration of the video that Stacy Brooks had put together to show a Judge in 1985, but Mark is a bit more specific. This is the original unedited video talking about the CID, that the church used as their first clip source in their video presentation. Video is cued to Gerry giving undercover Scientology operative, Dave Kluge, the CID contact information (IRS criminal investigation division in L.A.) for Dave to give them “information” so they can “move” – as in prosecute, one presumes. You can see that this first clip the church used appears to be intact. Gerry was arranging for the Loyalists to be able to contact the CID. The rest of the Dave Kluge videos (at the Armstrong play list) appear to be where the Church, ie: Stacy Brooks as per this post, was taking most of the clips from. It’s a simple matter to match up the running time stamp with whatever original video, should anyone need or have the interest to do so. Alanzo correctly points out that Rathbun delineated what Mike Rinder’s role was in reporting to David Miscavige about Fair Game done to critics: https://alanzosblog.com/more-on-scientologys-office-of-special-affairs-by-mike-rinder/ and then there is a bit of an argument between Alanzo and ‘Marildi’ over whether Rinder has been telling the truth recently, when he tries to imply he didn’t know what was being done to people, and now refers to things as “compartmentalized”. 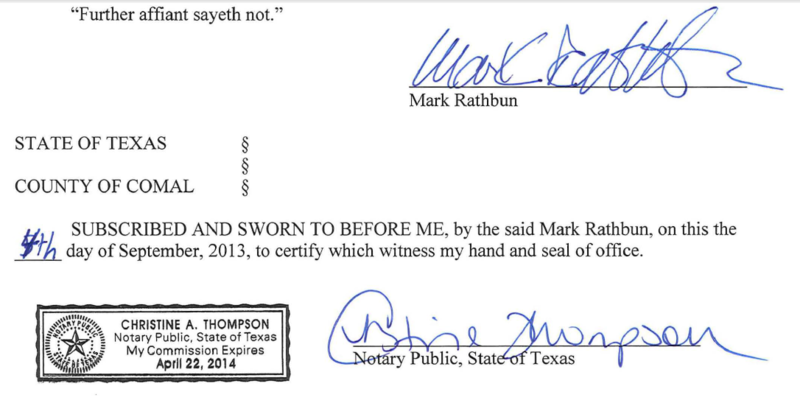 Rathbun’s affidavit (see uploaded PDF) was notarized on September 4, 2013 and then submitted as part of the lawsuit his wife had against the Church of Scientology. Please note that on page 26 of the PDF Mark Rathbun says that he personally “directed” black ops, etc. (26) “For more than 20 years, the Office of Special Affairs (“OSA”) of the Church of Scientology International answered to me. Under the close supervision of Mr. Miscavige, I directed OSA’s extensive, ongoing security, intelligence, “black ops”, public relations, and criminal and civil legal matters. Mike Rinder submitted summaries of the PI reports etc. every evening. Therefore, presumably Rinder would have verified his submission by use of the original reports. (17) from OSA’s inception in the early 1980s…me, Inspector General of RTC, and Mike Rinder, Commanding Officer of OSA International. (18) …Every evening I would receive an intelligence briefing in writing from OSA. The briefing was usually several pages summarizing reports from private investigators and Scientologists serving as undercover spies watching and interacting with Scientology critics. Armstrong: Who has the PI Reports. Rinder: They go to OSA Int. Amrstrong: Who’s in it? Have you got people in it? Possibly? Rinder was the HEAD of OSA international at that time. So, how very Hunt for Red October type conversation of him. You can see that Rinder did indeed know about the PI’s and what they were doing, and knew that the PI’s were sending in reports to HIS organization. Not too ‘compartmented’, if you ask me. Rathbun seems to currently have the only accurate rendition of how that all worked, what with Rinder being less forthcoming OUT of the Church (supposedly) then he was when he was IN the church and conducting this sting operation. The other thing of note, is Mike Rinder’s consistency in attitude towards Gerry Armstrong, as if he is crazy to say things happened to him were ops done to him. Rinder, in another one of those sting videos, acted like what Gerry told him had been done to him was ‘a little incredible’ to him, his whole attitude was like that Gerry was crazy. Then, when supposedly OUT of the Church, 27 years later he exhibits the exact same attitude, also on camera. To pile on the irony a bit further now, this same 1984 video shows Gerry Armstrong soliciting Rinder to do things that could be considered illegal. He wants Rinder to have someone ‘get’ the PI reports. Armstrong: Are they in a position where they can get PI Reports? 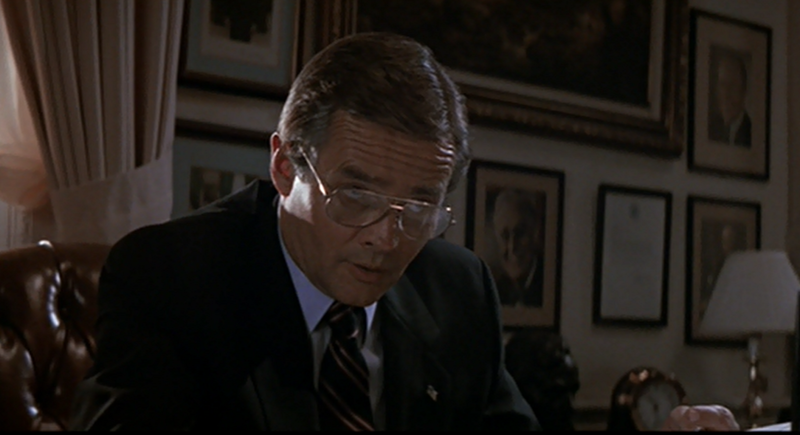 If you’ve got some intelligence personnel in there and you give them the idea, there’s a lot of things that can develop. …It can be developed into anything you want. Maybe you can draw the organization into something. Armstrong then says: I don’t know. You have some old intelligence personnel in there? Armstrong suggested: Guys that think this stuff…cuz that’s kind of what I see…you know, the intelligence possibilities are enormous. Lot of innuendo going on there. What to make of the sting versus sting going on here? This is a lot of work. Well done. It’s a Mike Rinder False Flag Operation Scholars page! Ha! It is, isn’t it. And yes, it was a lot of work but it had been on my to-do list for a while and yesterday I figured hey. Somebody needs to do it, might as well be me. So I did it. Was kind of a break from some much harder research I’ve been working on, so that worked out well. Your research made it easier for me. So, thank YOU Alanzo. 11.13.18Interlude – Who Thinks like this? Previous Post The Oxford Movement vs. The Oxford Group and Frank Buchman: Is there a Relationship?